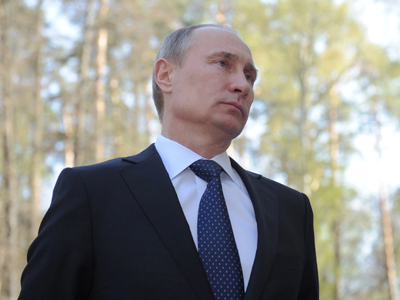 Putin to pass on Camp David G8 summit on May 18-19 in the United States. The Kremlin has confirmed that Vladimir Putin will be unable to travel to the United States to take part in the upcoming G8 summit in Camp David, but will send Prime Minister Dmitry Medvedev. The statement cited pressing duties of office as the reason for Putin being unable to attend the international summit. "In a telephone conversation with US President Barack Obama, Vladimir Putin informed his American counterpart that, unfortunately, he will be unable to participate in the G8 summit, as the formation of the Russian government structure and personal appointments will obviously not be completed by May 18-19, when the summit is to be held," the presidential press service said. 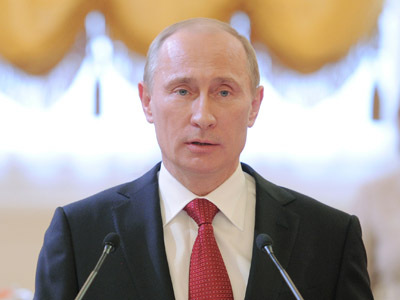 Putin sees it as impossible to travel abroad at this time, the statement said. The President notified the US leader that Prime Minister Dmitry Medvedev will represent Russia at the G8 meeting. "The American side has received this information with understanding," the statement said. Acting presidential aide Arkadiy Dvorkovich said that the reason behind Putin’s decision not to attend the international event was purely technical. The PM must submit his suggestions on government formation within several days after his appointment and this is what Dmitry Medvedev will do, but then the president must thoroughly study these suggestions and he will be busy with this, the presidential aid added. Dvorkovich also mentioned that Medvedev had enough expertise to represent Russia at the summit. "Dmitry Medvedev has served as the Russian president for four years, he has dealt with all these issues, so there will be no problems here,” the aide said. “I do not think that Putin is afraid of anything connected with politics,” he added. During the course of their telephone conversation, the Russian and American leaders agreed to hold a broad bilateral meeting on the sidelines of the G20 summit in Los Cabos, Mexico, on June 18-19. 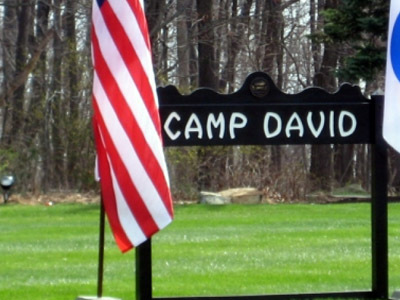 Camp David, located in the US state of Maryland just 100 kilometers (62 miles) from Washington, D.C., was converted into a presidential retreat by Franklin Roosevelt in 1942. The retreat is technically a military installation and is closed to the public. This year marks the 38th meeting of the G8 nations, including France, Germany, Italy, Japan, the United Kingdom, the United States, Canada and Russia. 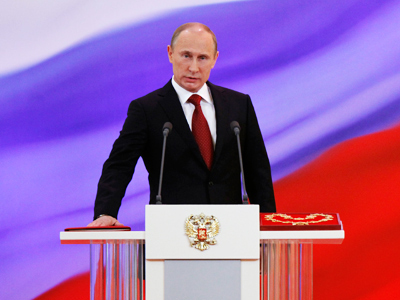 Putin reloaded or Putin reformed?